Jesus, dying on the cross, committed the care of His mother, Mary, to St. John the Apostle. 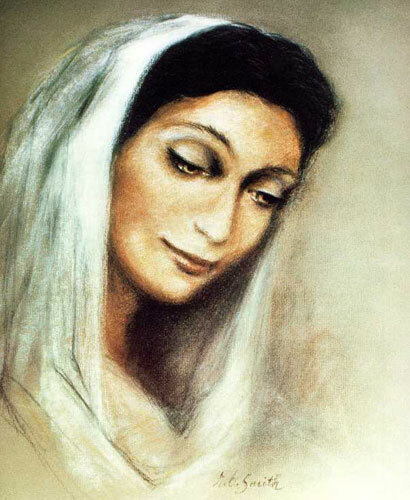 "Then he said to his disciple, "Behold your Mother." And from that hour the disciple took Her into his home." John 19:27 History records he took her to Ephesus, the ancient ruins of which lie on the central western coast of Turkey. Several million tourists visit Ephesus each year and bring away with them the wonderful spiritual experience of having visited Mary's home, high on a hilltop overlooking the Aegean Sea. On August 15, 1994 Our Lady of Ephesus House of Prayer was formed to provide facilities for the spiritual growth of individuals through reflection and prayer. 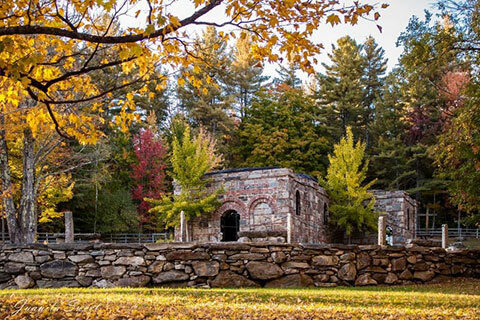 It is situated in a peaceful, natural hillside setting in Southern Vermont overlooking the town of Wardsboro, ideal for prayer and meditation. 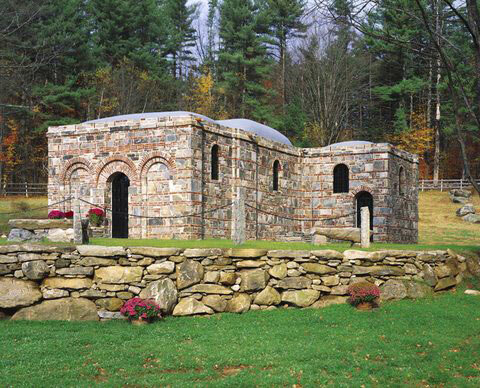 Replica of Our Lady of Ephesus House of Prayer in Jamaica, Vermont. Click Here for more construction images.